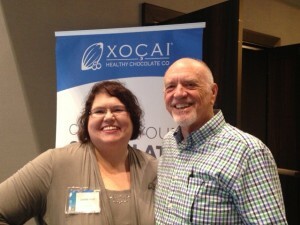 Me with One of our Chocolate Millionaires, Butch Swaby of Nashville, Tennessee. Have you ever been at a dinner party and you were asked what do you do for a living? It is a common question asked in conversation. I love telling people what I do for a living. The looks I get are amazing. When someone asks me what I do for a living, I simply say I share the Healthiest Chocolate In the World. First off people are like there is really “Healthy Chocolate” and are asking me for a sample. Pretty soon I have a line of people asking for information. One day I was in the doctors office in Fort Myers, Florida. The doctor was running almost an hour behind. The waiting room was full of couples and individuals. I was getting hungry as it was afternoon, so I grab a 33 calorie chocolate Power Square out of my purse. I slowly unwrap the chocolate and start savoring the amazing taste. I notice people sitting near me in the waiting room are staring at me. I offer them chocolate. They accept. Pretty soon I am sharing tchocolate with the entire room and explaining the health benefits of The Healthiest Chocolate In The World with a room full of people. Thankfully I had a purse full of Healthy Chocolate samples and was able to take orders for new customers and get someone started with their own healthy chocolate business. It is honestly hard to believe that I get paid for selling the Healthiest Chocolate in the World. I have had people knocking on my car door asking for Chocolate and people begging me for chocolate whenever I am at an event. I truly am known as the Chocolate Lady and I don’t mind one bit. Maybe you have wondered if you should start your own home based business but were not sure how you could fit it into your busy schedule. I fit my chocolate business into my schedule. It has become a part of my life and I am always talking about the benefits of flavanols and antioxidants. Since this chocolate has the highest antioxidants and flavanols of any chocolate I have ever found, it is something people are excited to try. Many jump on board and want to get paid to share this with others. With the upgraded compensation plan and quick start commissions, right now you can earn serious cash every week. 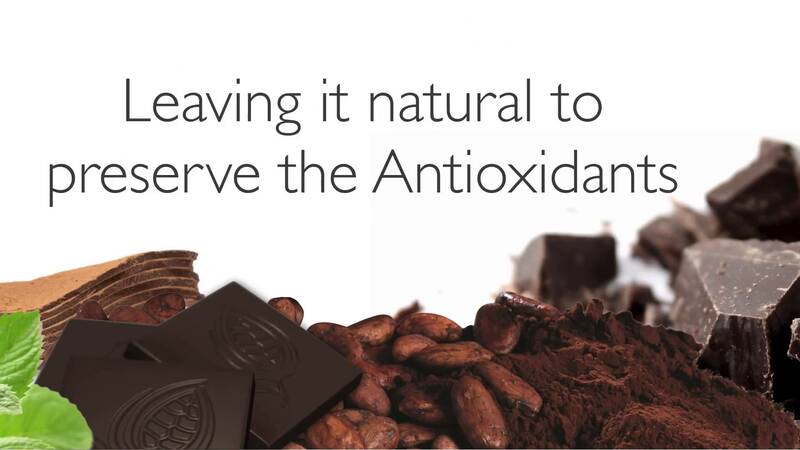 You can also earn free Chocolate or cacao based anti-aging products when you have new customers order monthly. We also offer one of the best incentive programs for Customers and new Consultants and Executives. When they order monthly, they are rewarded. Every third month for the first year, they receive FREE PRODUCT equal to the amount they order monthly. Everyone I know loves this option and they are able to try out new products. drinks are extremely popular. 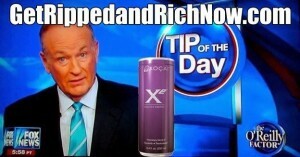 It does not hurt that Bill O’Reilly shared that he drinks the Xe Energy every day for his health. He mentioned the Xe as his tip of the day on the O’Reilly Factor on Fox. No matter your preference, Healthy Chocolate, Xe energy drinks or the Beyond Beauty Cream anti-aging skincare line, you will love it. I am 51 and people can hardly believe it. All I use is the Beyond Beauty Cream cleanser and the Beyond Beauty Cream anti-aging skin care cream morning and night. One bottle lasts me at least a few months so it is also affordable. As far as the chocolate, make sure you eat at least three pieces a day, morning mid day and evening. This way you keep antioxidants and flavanols in your body all day long for the best benefit. Visit MyChocolateSolution.com to learn more about our chocolates and order. You can also call Three Sons Marketing LLC, Lynette & Wayne Henk at (877)208-8172. Leave us a message and we will get back to you right away. If you like me love the idea of getting paid to share chocolate, call me or message us at [email protected] We can show you how you can quickly start your own home based business and earn the commissions I mentioned before. We also have Chocolate Millionaire’s ready to help you succeed. 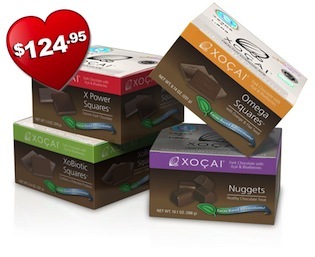 PreviousBest Price On Well Beyond Healthy Chocolate Co. Nuggets, Power Squares, Xobiotic, Xo Love Bites With Value Pack!